raster-noton is already a beloved imprint for those who care about out-there sounds. But if you thought you’d heard every click and oscillation that name could bring, you probably haven’t heard Kyoka – the Japanese-born artist who always manages to wander out into new territory. And even before we had a chance to get the least bit tired of her last outing, she’s fresh from a trip to Stockholm’s EMS with something altogether different. CDM’s Zuzana Friday invites Kyoka over to charm and wow us all over again. 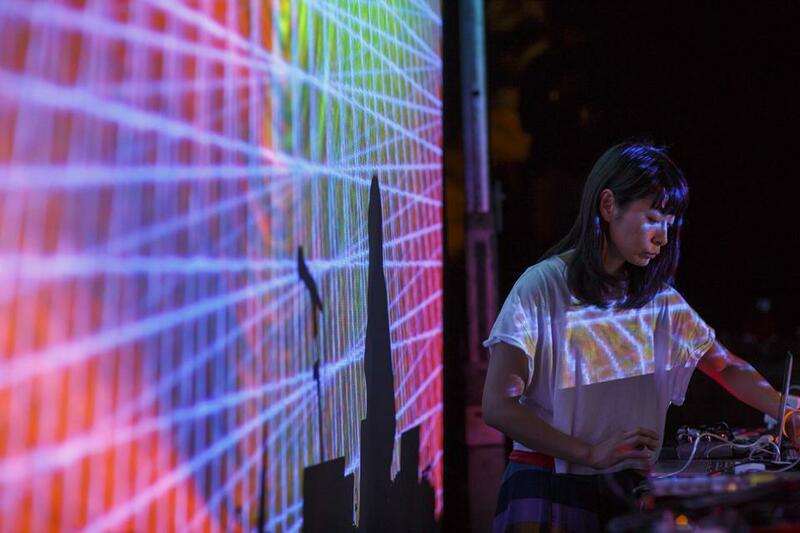 Kyoka is a musician and a sound artist living between Japan and Berlin. She played several instruments as a child, including the Japanese syamisen, before treading a path from tape manipulation to electronic instruments and Ableton Live. After several releases on the Berlin-based onpa))))) label, she released two EPs and an LP ‘IS (Is Superpowered)’ on raster-noton and thus became the first woman to join the label. Kyoka has always played with the way words can embody or articulate sound, and that’s reflected in her new album’s titling, dubbed ‘SH’ with tracks like ‘Susurrus’ and ‘Shush’. The whole EP is a shift from her previous rhythmic experiments and vocal sampling toward delicate sound design with granular echoes, scattered noises, and carefully constructed organic beats. Influence from her raster-noton peers might be one of the factors behind this more minimalistic, precise approach, so characteristic of the label’s production. What still remains is the rough, beautiful chaos and love for sounds in all their weird forms that characterizes her style. This year, raster-noton celebrates its 20th anniversary with a tour of concerts, accompanied by the audiovisual exhibition “white circle,” a 47-speaker array that reproduces compositions by alva noto, Byetone, Frank Bretschneider, and Kangding Ray. 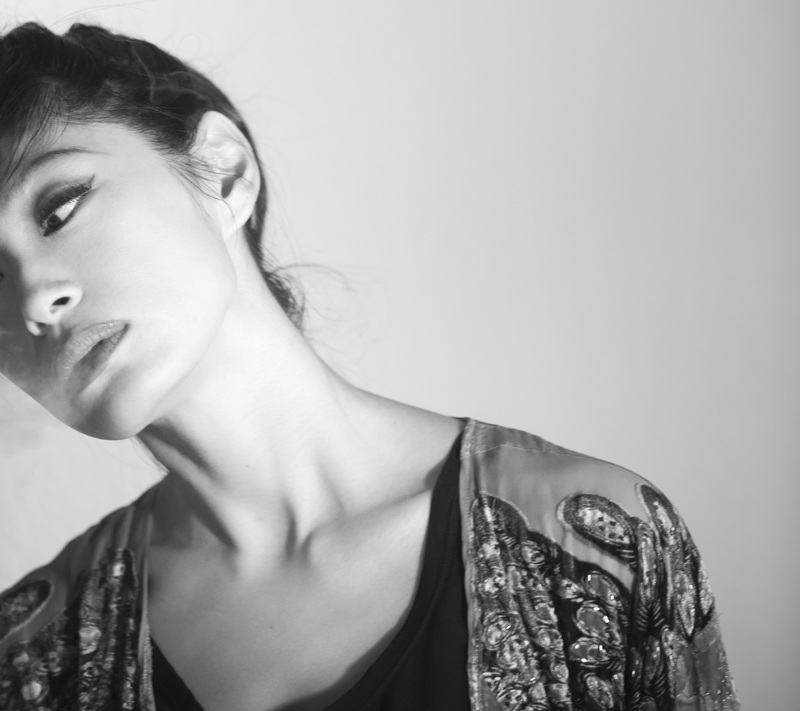 Kyoka will join the label in its hometown Berlin at the end of April, as Berghain hosts the installation and live shows, including live appearances by labelmates Dasha Rush, Emptyset, Robert Lippok, Kangding Ray, Byetone, and alva noto. She has also recorded a mix for Groove Magazine full of music by her raster-noton colleagues and friends, but also featuring Ricardo Villalobos and Aphex Twin, a field recording of Grischa Lichtenberger playing the piano, and a girl humming in her Berlin flat. Speaking with CDM, Kyoka shares her experience at Stockholm’s EMS (Elektronmusikstudion), her understanding of sound, creating a spatial sound work, as well as her newest EP, composed from her live performances. I also found her charming as a person – as you can see in the videos we’ve included here. Friday: The “SH” EP is inspired by your residency at Stockholm’s EMS. What did you gain from the experience? Did it change how you usually work? Kyoka: Before I got in the EMS studios, I used to work with a computer and software. Since I used to move from one place to another a lot in my life, I haven’t been using much hardware. But in EMS, I had a chance to take a look at hardware, and it improved my understanding of sound. For example, artists who start making music using hardware have a better understanding of how the whole system of synthesizers works. So for them, it’s all clear when they make music in software later on. But I’ve started with making computer music using software, so sometimes I’m not sure whether what I’m doing would actually work in real life. Because even when you make a wrong connection in software, it still does create a sound, whereas when you’d do the same thing with real synthesizers, they wouldn’t make a sound anymore, so I would have to figure out the reason why. I used to carry many misunderstandings in my head, but after spending time at EMS, many things about electricity or sine waves are much clearer now. Did you use this knowledge for the EP? How did you produce tracks on ‘SH’ and which equipment did you use? How did you go about making those live performances? I always borrow a mixer at each venue and record from the mixer output. I also use a contact microphone to create some nice bass using feedback, and the contact microphone is always affected by the architectural and acoustic character of each venue. Your music production relies very much on unique sounds. Do you sometimes have a certain sound in mind that you try to recreate? Or do you just improvise with sounds? Well it’s definitely a skill! 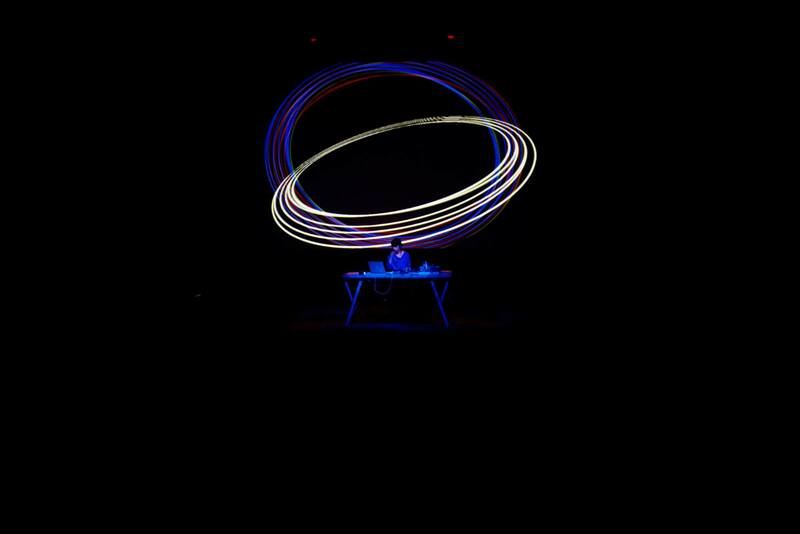 Speaking of performing, you played a multichannel work on the 4DSOUND spatial audio system not long ago. How were you preparing for this performance? The first thing I did on the 4DSOUND system was playing my released music to hear what sounds good on the system. My idea was to use field recordings or natural sounds rather than something too punchy. Certain rhythms also worked very well. But in my opinion, not every sound was effective in that environment, nor was using a stereo file, so I used mono files. But I was very curious about what would happen if phase and antiphase of the sounds would meet, because when they meet in a musical software, they cancel each other; they just disappear. So I wanted to try it in a physical space. Firstly, the 4DSOUND crew wasn’t sure about it since the system itself actually isn’t symmetrical; but eventually, I tried it out and it worked. Then I tried to put a little bit of reverb on both the phase and antiphase of the sounds to see if I would only hear the reverb as a result of phase cancellation. I think it worked. I only had about four days for the whole preparation, but I’d like to return back there and explore more sound possibilities with system. What was also nice during the preparation process that the 4DSOUND guys were always with me and when I told them my idea, they immediately made that work. And when I wouldn’t use some function, they’d immediately take it away! And what about the performance itself, how was it? Great, apart from the usage of phase and antiphase of sounds, I also used my voice. I usually don’t do it, but this time, I realized that a mono file sounds nice there, and voice is the most flexible ‘mono file’ I can use in real time. But you usually don’t sing on stage, right? So my performance was about mono files, voice, loops, moving around, phase and antiphase of sounds. My approach there was to explore the potential of sound. For example, I used to do a lot of field recordings, and when I found a sound which I was really attracted to, I cut a short piece of the sound wave and made a kick or some part out of it. I always like to add some effects and see how much potential the sounds actually have, what can be done with them. I’ve read that 4D developed a custom patch on the iPad for you with which you control shakes, rotations, doppler shifts, phase and anti-phase of sounds and movements. Did you use it during the performance as well? Yes. I used it for the movement of the sound, because I had to let the phase and antiphase of sounds meet slowly in the different directions. So I used the iPad more for the movement of sound. Sometimes the phase and antiphase would never meet, they’d just chase each other. Apart from performing in Berghain in April for the raster-noton birthday party, what else can we anticipate from you this year? I will have some shows this year, also thanks to the raster-noton anniversary. In May and June, I decided to go back to Stockholm; I’ve rented an apartment already. I reserved the EMS studio for every day. I’d like to continue exploring the potential of sounds there. I also didn’t use the hardware and synthesizers that much there before, only Buchla and some synth mostly, so I’d like to try the hardware out there to improve my understanding of machines. And there is another, quite big project happening this year. Last February, I’ve started a project called First Floor Festival. The idea is to bring interesting foreign artists to Japan, because in Japan, the only chance to see foreign artists is on big festivals, which don’t take place in the countryside. Also, for me, the countryside of Japan is more of a foreign country sometimes. So I wanted these two to meet: the new generation of artists and the foreign country inside of Japan. I co-curated the first edition with my Japanese friend Ueno Masaaki and brought Grischa Lichtenberger, another friend of mine, to play a tour in Japan. I have more names in mind, like Headless Horsemann or Helm, and me and Ueno are very excited, but it’s still at the beginning, so let’s see how this develops.